KM Packaging (Peterborough, United Kingdom), a global supplier of flexible packaging and lidding films, has leveraged the KPeel range of advanced lidding film solutions to develop new, resource efficient and reduced-plastic packaging trays for produce, ready-meals and other food packs. The KPeel range offers a high-performance “seal and peel” solution for renewable pulp and pressed board trays, to allow manufacturers to respond to widespread consumer demand for new sustainable packaging solutions. Combining a renewable resource tray with KPeel high-performance lidding presents manufacturers with an economical first-step in plastic reduction. During recent trials, KM Packaging demonstrated the significant plastic reduction achievable by moving from a traditional clamshell packaging format prevalent in our overseas markets for fresh produce to a new, resource efficient solution utilizing the KPeel range. As a result of successful trialing, KM Packaging is now actively engaged in bringing a number of fresh produce packing projects to the market. 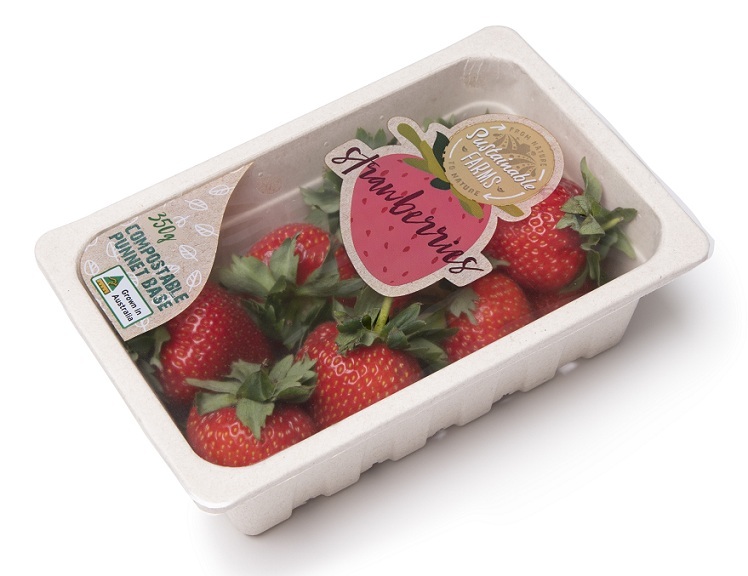 “Testing has shown that fresh fruit producers could achieve a plastic reduction of 95% by moving to a pulp or pressed board tray sealed with KPeel lidding film, a fantastic achievement for any customer looking to dramatically reduce their plastic usage,” says Smithson. “The range’s high-level transparency and clarity create outstanding shelf appeal for fresh produce punnets [trays]. The highly versatile KPeel lidding film range is suitable for a wide range of needs including ambient, chilled, frozen and dual ovenable applications. Anti-fog is available for chilled packs, and the range can be printed to give products standout on-shelf presence. Recently launched KPeel PLUS+, for example, is an option for ready-meal manufacturers looking to achieve a more resource efficient approach to packaging convenience foods. KM Tray cropCombined with a PET-lined pressed-board tray, it offers enhanced sealing capabilities for tricky foodstuffs, such as oily products, processed vegetables, pasta and sauces. This format reflects current market trends, as food manufacturers increasingly seek alternative packaging solutions that can deliver significant reductions in plastic use without compromising on functionality. The KPeel range is suitable for printing, perforation and lamination to add functionality such as high barrier or improved strength. KPeel is available in a range of thicknesses from 16-40 microns to meet the needs of a wide range of pack applications. Mono-PET solutions are also available, offering recyclable solutions, where local collections permit.